Intes are hungry Creatu, always flying from one place to another looking for their next meal. 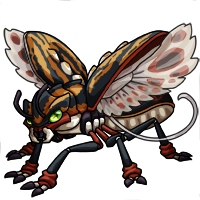 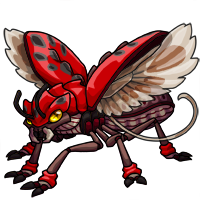 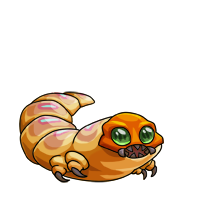 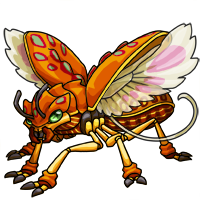 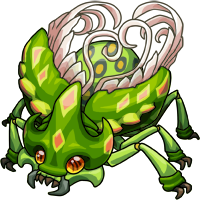 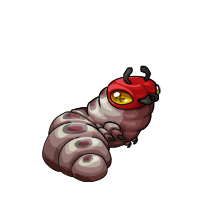 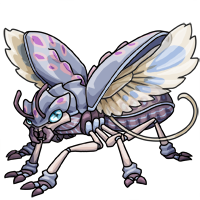 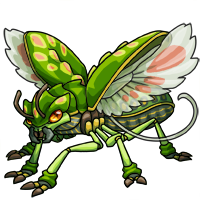 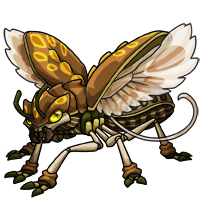 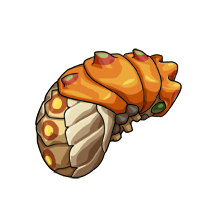 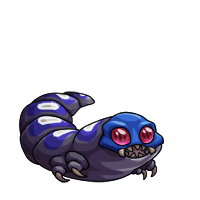 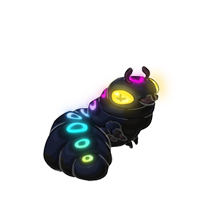 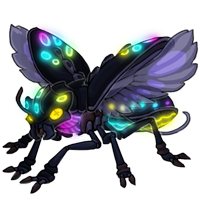 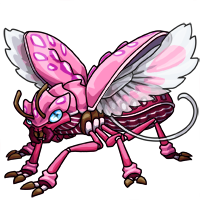 When people first began settling Scria they resented the small Creatu, often waking up in the morning to find patches of their crops destroyed by a hungry family. However, Intes will never eat the whole patch of plants; always leaving some to re-grow for the next season. 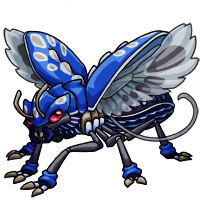 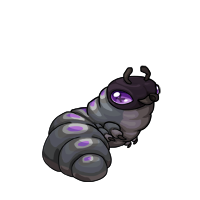 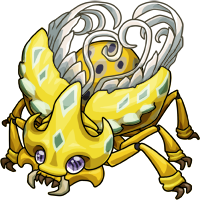 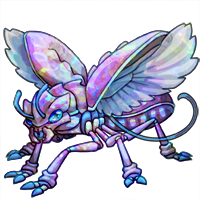 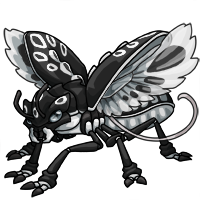 They are family Creatu and feel most comfortable in a large group of people and Creatu - preferably other Intes but domesticated ones are just as comfortable around other species. Intes usually live in small swarms but they do not care for their young. 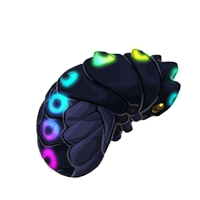 The swarm will lay their eggs in a secluded place then fly on to the next patch of food. 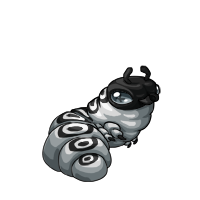 When the young hatch they must fend for themselves until they gain their wings. As the eggs are laid in groups, these groups usually stick together once they hatch and become their own swarms when they grow up. 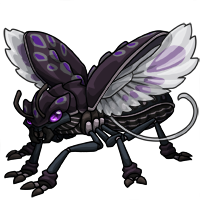 Swarms will not usually mix and try to stay away from one another if possible. However, if an Intes is born separately from others it will hop from swarm to swarm, never staying in one too long. Although wild Intes have been known to eat more than their share of farmer's crops, farmers have found a use for the hungry Creatu. Given the right guidance, a domesticated Intes will be able to tell which plants are acceptable to eat and which aren't. Farmers often train a small swarm of Intes to eat weeds, even masking their natural instincts to leave some of the plant alone by teaching them to eat everything right down to the root.